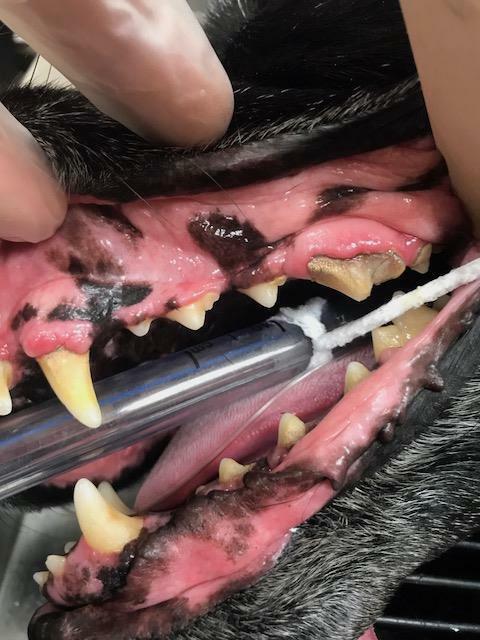 The oral health of your furry companion has a significant impact on his or her overall health and is a vital and often overlooked aspect of your pet’s overall wellbeing. At Healthy Pets Veterinary Care, we offer comprehensive anesthetic and non-anesthetic pet dental care services in Boca Raton and Delray Beach as well as other neighboring communities. At Healthy Pets we believe in preventative dental care so much that we have included it into many of our adult pet wellness plans. Dental care is equally important for pets as it is for humans. 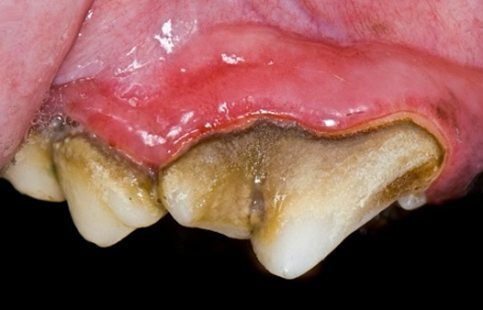 Periodontal (gum) disease is among the most common conditions we see in our pets today. 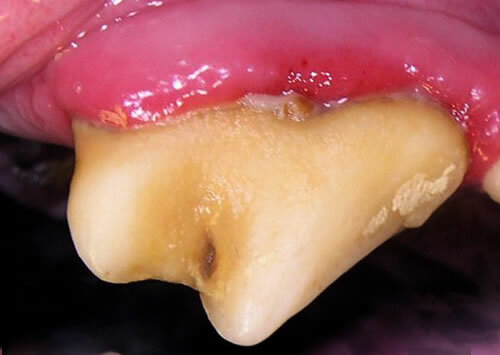 Problems can begin when plaque and tartar build up and sit on your pet’s teeth. Plaque harbors harmful bacteria, which can infect the surrounding gum tissue and potentially affect teeth roots resulting in painful disease and tooth loss. Besides the negative impacts on oral health, the bacteria from the mouth can also enter the blood stream through the tiny blood vessels in the gums. This bacteria can travel to different organs, usually harming the vital organs with the highest blood flow: heart, kidneys, lungs, liver and even the brain. Infections and the damage that they can cause to vital organ systems can shorten the lives of our furry friends. At Healthy Pets Veterinary Care we strongly believe in preventative pet dental care. 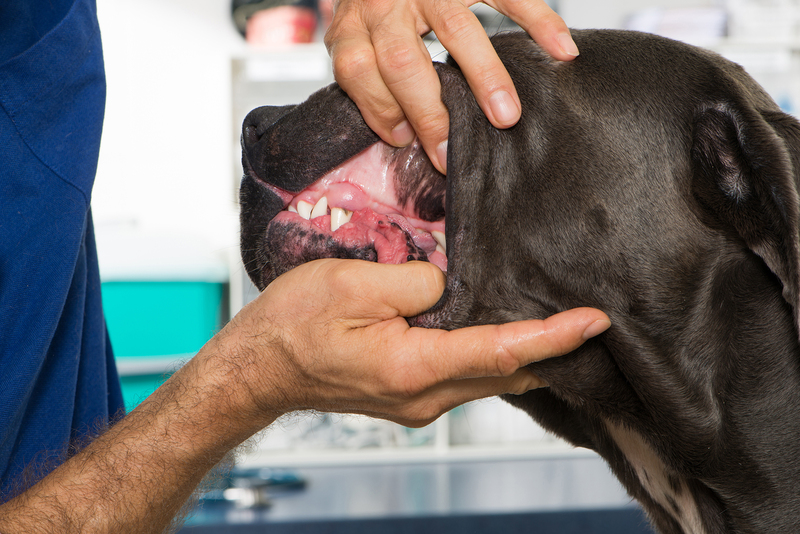 We recommend twice yearly oral examinations and once yearly cat and dog dental cleanings. Our complete physical exams include a thorough oral assessment to ensure that your entire pet is healthy from teeth to toes. We have built a comprehensive dental treatment plan that includes full anesthesia, teeth cleaning (ultrasonic scaling and polishing) and full mouth digital dental x-rays for one affordable price. We are able to perform tooth extractions and minor oral surgeries during these procedures. So no matter what your furry friend needs, we have you covered! If your dog or cat has bad breath, don’t just ignore the odor. 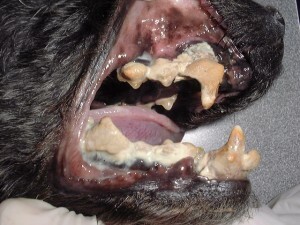 Bad breath in dogs can be a sign of periodontal disease or a more serious oral health problem. Besides bad breath and the harmful bacteria that may cause it, other signs of periodontal disease may be present but not obvious. Bad breath (one of the first signs of dental disease). 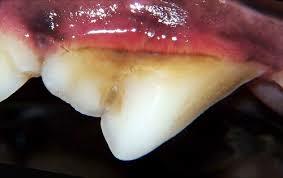 Discoloration such as a yellow/brown crust of plaque on the teeth near the gum line. Decreased appetite or difficulty eating. 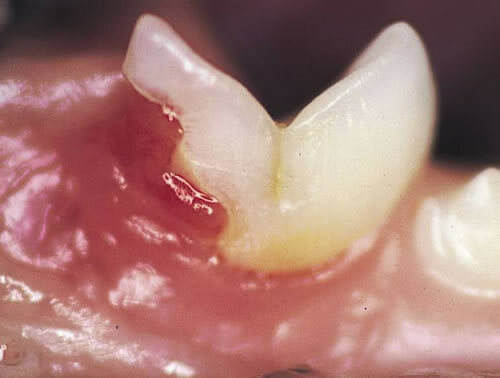 Pain or bleeding when eating or when the mouth or gums are touched. NOTE: Your pet does may not be showing any of these signs and still could be suffering from dental disease. If you think your pet may have dental disease, please call us to schedule an oral exam and dental consultation today! After examination, we will determine if your cat or dog requires a dental cleaning under general anesthesia or if they are a good candidate for a non-anesthetic dental cleaning. 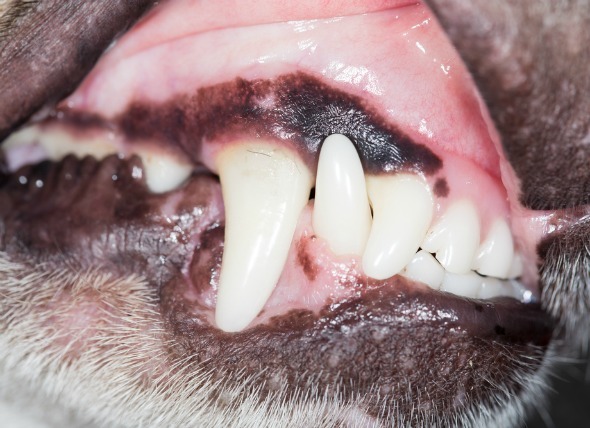 Anesthetic dental cleanings are necessary when your pet is showing signs of advanced dental disease. Full mouth dental radiographs are taken while your pet is under anesthesia to reveal any signs of dental disease below the gum line. A non-anesthetic dental cleaning is a dental procedure completed without having to put your put under general anesthesia. The non-anesthetic method is an effective option for preventive care especially in older patients. However, not all pets are suitable candidates for this procedure, and we will help you to determine which is the best option for your pet based on their overall health condition. Please see our resources page and look for “Pet Dental Services” for more information on non-anesthetic dental cleanings. Regular dental care for your cat is incredibly important. Cats have special dental needs, as they are predisposed to unique dental diseases. Unfortunately our feline friends can suffer from two very serious and painful diseases, stomatitis (inflammation of the gums) and a condition called Feline Oral Resorptive Lesions (FORL) aka “tooth resorption.” FORL sadly affects anywhere from 33% – 66% of cats and can lead to severe pain, decreased appetite and oral infection. 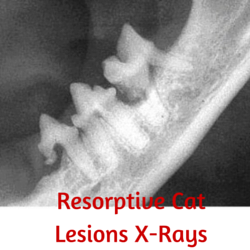 Feline resorptive lesions can only be properly assessed using dental radiographs. For this reason, Healthy Pets Veterinary Care recommends all our feline companions get oral examinations every 6 months and yearly dental cleanings under anesthesia with full mouth X-rays. Brushing your pet’s teeth can go along way toward preventing dental disease. Some pets resist brushing but can be taught to accept or even like it with a little work, especially if you introduce brushing when your pet is a puppy or kitten. Healthy Pets Veterinary Care recommends brushing your pet’s teeth once a day (or at least 3 times a week), but remember, any brushing is better than no brushing! Step 1: Choose a pet toothpaste your pet likes. There are fish, chicken and peanut butter flavors amongst others available (do not use human tooth paste or tooth brushes on your pet). You may need to try more then 1 flavor to find your pet’s favorite. Place a small amount of the pet approved toothpaste on your finger, and offer it to your pet as a daily treat for several days. This will allow your pet to become accustomed to the toothpaste and associate it (and eventually brushing) as fun and rewarding. Once your pet readily and regularly accepts toothpaste as a reward, use your index finger to mimic the brushing motion with the daily dose of flavored toothpaste. Step 2: Once your pet is comfortable with this practice (usually a couple of weeks) you should introduce a pet toothbrush. We recommend using the finger toothbrush. Make small circular motions with the brush at a 45 degree angle, beginning at the back of the mouth. Usually eight to ten strokes are sufficient for any given area. Attempt to brush all sides of your pet’s teeth to the best of your abilities. 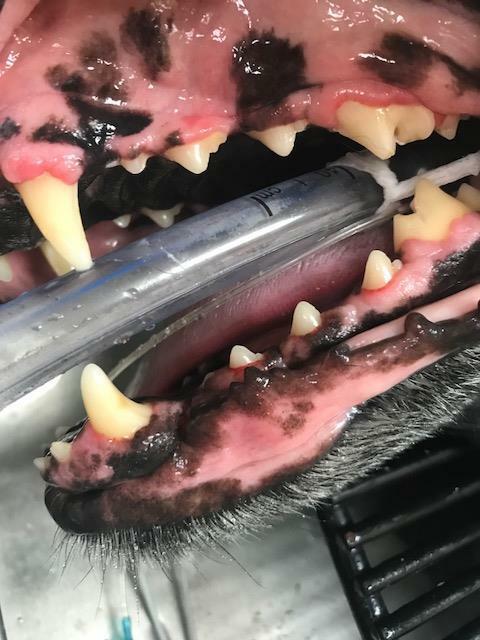 If brushing your pet’s teeth is not an option, we are happy to discuss other products and methods to ensure the long term oral health of your pet. At Healthy Pets Veterinary Care, we have a wide range of dental products including specialized dental diets, pet toothpaste and toothbrushes, dental chews, and more. We also have several pet wellness plans that include dental services to keep your dogs and cats in tip-top shape throughout their lives. Healthy Pets Veterinary Care is your one-stop-shop for all of your pet’s dental needs. Whether you’re just looking to clean your pet’s teeth or think your pet needs serious dental care to help eliminate pain, you can count on the experienced and caring staff at Healthy Pets Veterinary Care. Give us a call today to experience the Healthy Pets difference!